Looking to turn from a caterpillar into a butterfly, having spent enough time in your cocoon this winter? Spring forward with fashionable accessories found only at Bel Air Jewelry! Ever wonder why the Monarch butterflies migrate during the Spring? To try on our most popular piece this season of course! The Sapphire Flower Bracelet (as seen above) beckons humans and beautiful butterflies alike with its sparkly pear-shaped multicolored sapphire flowers. 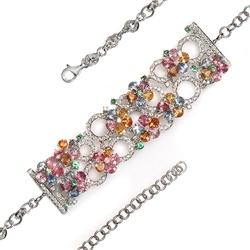 Connected to a chain of 18K White Gold, each flower is made with Spring colors in mind: pink, green, and orange sapphires (Just wait till you see the chart below!) and in the center, a round-cut Pave Diamond (the birthstone of April!). Total multicolor sapphire weight is 19.62 Ct. That’s a lot of butterflies! We’ll never know who determines the colors of the season. Mother Nature perhaps? What we do know is what those colors are. 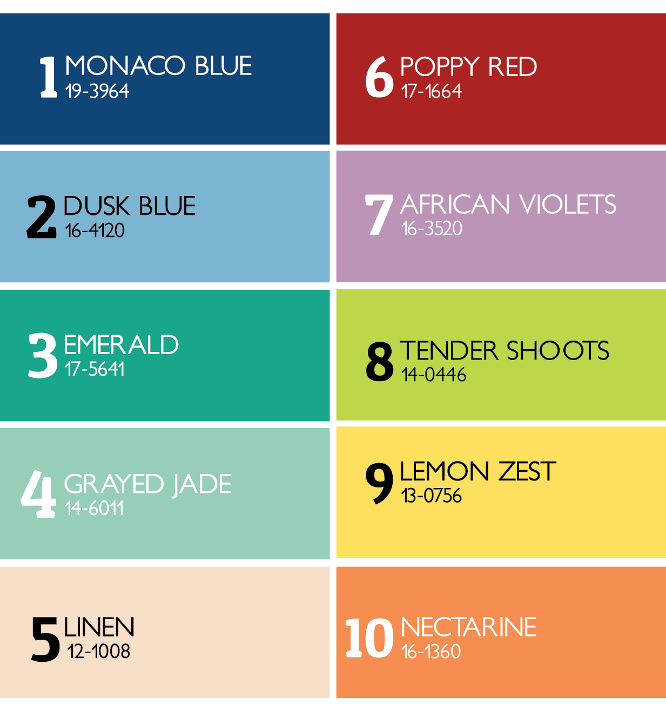 Deep primary colors like Monaco Blue and Poppy Red compliment lighter tones like Lemon Zest Yellow and cream-colored Linen this Spring. Notice how African Violets, Grayed Jade, and Nectarine all match perfectly with the Sapphire Flower Bracelet seen above? It couldn’t be a better time to wear one today! Before Spring ends, wear your new Sapphire Flower Bracelet to the most comprehensive jewelry show on Earth at JCK Las Vegas starting May 31 – June 3, 2013. We’ll be there to showcase the finest quality jewelry and gemstones for all seasons, especially Summer!